The weather is finally warming up, but the heat of summer is far away, so now is the perfect time to explore the beauty of New England by bike. Try one or more of the following five bike paths to help you discover more in your own state or to begin exploring another. This trail has so much to offer, providing bikers with all of the quintessential features that make New England so special. You will be treated to beautiful forest views, wildlife and several covered bridges on the 22-mile route that traces the former Ashuelot Railroad. The trailhead starts near Keene State College, making it perfect for students and their visiting families as well as other tourists. Don’t miss out on this exceptional trail. The beauty of Acadia National Park draws in tourists from all over the world, so if you are lucky enough to live in New England, you have to make a point to visit as soon as possible. One of the best ways to explore all of the diverse beauty that the park has to offer is by traveling the famous Carriage Roads, where you will share the stunning views with plenty of other bikers, pedestrians and even horses. There are some portions of the Carriage Roads that don’t permit bikes, so be sure to read all the information found at the above website. The Burlington Bike Path allows urban explores to experience all that Burlington has to offer while remaining safe on designated bike paths for the majority of the route. You will be able to immerse yourself in nature as well as city life while on this path, because it provides amazing views of the Adirondacks and Lake Champlain. All of New England is filled with sites of historic significance, and maybe no state more so than Massachusetts. The Minuteman Bikeway is slightly over 10-miles long and passes through several historic suburbs of Boston including Lexington. It attracts tourists from all over the country who are interested in learning more about the pivotal Revolutionary War events that happened in the area. This trail is part of a corridor project that is intended to provide natural pathways for animals traveling between Rhode Island and Massachusetts. This portion of the corridor contains an approximately 12-mile bike path that offers bikers innumerable picturesque views, so don’t forget your camera at home. It travels along historic canals, former railroad brides and even has convenient parking at several points. New England has so much to offer, so be sure to take advantage of that fact by heading out on one of these bike trips! As always, remember to wear a protective helmet, be particularly careful when crossing intersections, and maintain an acute awareness of your surroundings. Despite these precautions, however, bicycle accidents are a reality that even the most careful cyclist cannot always avoid – particularly in light of the most recent statistics concerning distracted driving and its consequences. If you were recently injured while riding your bicycle, a NH biking accident lawyer at the Law Office of Manning & Zimmerman, PLLC is the best resource for you as you consider a possible personal injury lawsuit against the driver responsible for your injuries and property damage. It is essential that you have an experienced NH biking accident lawyer representing you from the onset of your case through litigation. Big insurance companies have lawyers looking out for their interests and you should too. Call a NH biking accident lawyer at Manning & Zimmerman Law at (603) 239-2489 today for a free initial consultation. This article is presented, in part, courtesy of Bonneville & Son, Inc. 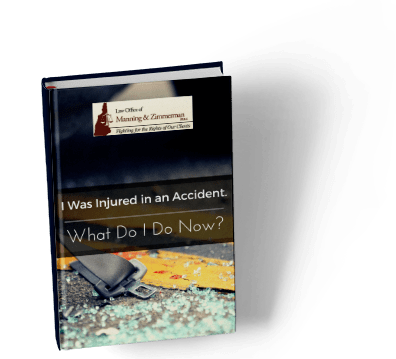 I f you are seeking damages after a car accident, you might want to enlist the services of a Manchester car accident attorney at the Law Office of Manning & Zimmerman, PLLC in order to calculate the total amount of compensation you should request. You will need to recover any lost earnings as part of the compensation you seek. The issue of time off work becomes even more complex if you suffer a permanent partial disability as a result of the car accident. In addition, you might be placed on restricted duty with less pay after the accident. Our legal professionals can help you determine lost income in this event. The U.S. government has data that addresses decreased earning capabilities for anyone who suffers a permanent partial disability. A person who works on straight commission or who is self-employed might have some difficulty proving the amount of lost wages. You might be able to compare income tax records to show the difference in earnings before and after the accident. However, if you experience an increase in earnings, you will likely need to call on an industry economic expert in order to verify the related losses. You can also include the cost of hiring any substitute workers when calculating damages. It may be difficult to determine how much compensation you should receive for your injuries and financial losses in a personal injury case. Your attorney will figure out the amount of damages by calculating all of your medical expenses, lost wages, and additional costs related to the injuries sustained in the accident. Determining the amount of lost earnings is an important part of resolving your lawsuit. At the Law Office of Manning & Zimmerman PLLC, we can help you calculate this figure and any other monies you may be due in order to arrive at a fair and just amount when you request compensation after a vehicular accident. For further information, call our Manchester car accident attorney at (603) 624-7200. 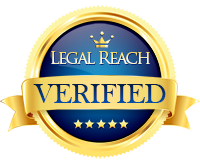 I want to say thank you for your professional manner and hard work on my case. You kept me well informed during the process, and I felt that you cared about the outcome almost as much as I did. This means a great deal to me. Operating an air conditioner is an $11 billion a year venture for Americans. What’s more, those a/c units release about 100 million tons of carbon monoxide into the air annually — two tons for each home using one, according to WebMD. You can, however, reduce your own carbon footprint while staying cooler this summer, and save some money on electricity costs while you’re at it. 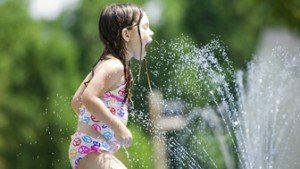 The lowest-tech ways to keep cool this summer start with your own body,” said Camille Peri in a WebMD feature provided in collaboration with Healthy Child Healthy World. Wear clothes made from natural fabrics such as cotton, hemp and linen, which breathe better than synthetic fibers and naturally whisk away moisture. Dine on ‘cool,’ light meals like salads and sandwiches instead of protein-rich meals that warm up the body, not to mention the oven or the stove, working against your goal. Use cool water to decrease your body temperature by soaking your feet in a tub of cold water, wearing a wet bandana or taking a cool shower. A spray bottle of cold water to spritz yourself throughout the day is a good idea, as well. Furthermore, remember that warm air rises; therefore, the basement or ground floor is the coolest story of your home or building. Plan to spend most of your time there, or embark on trips to air-conditioned public places like the mall or the library. If you ever plan to start caring about your home’s décor, now would be the time. Use window coverings to your advantage by keeping your dark-colored curtains or shades pulled throughout the heat of the day, as that can block up to 80 percent of solar heat. Appliances inside the home such as the aforementioned stove add to the internal heat and energy consumption of your household, so utilize microwaves or toaster-ovens, which use up to two-thirds less energy. Also, consider changing your light bulbs to energy-efficient compact fluorescent light bulbs or halogen infrareds. Lastly, use fans inside the home, especially when it starts to cool down in the evening. Portable fans placed in front of an open window can bring that cool air inside, and a ceiling fan will help circulate it. Even if you have an air conditioner, turn on your ceiling fans to help make the room feel cooler. “Shading from the inside with curtains and blinds is a good first step, but shading from the outside can be even better,” Peri said. One of the least expensive ways to do so is to install awnings. The Department of Energy estimates that awnings can reduce solar heat gain in the home by as much as 77 percent. Woven mesh solar, solar control windows, and reflective window film are some additional, yet more costly options. If you do opt to use an a/c unit, keep the filter clean so airflow is not limited and the appliance lasts longer. Filters should be cleaned or replaced every month or so, depending on usage. Similarly, make sure the air conditioner gets a tune-up from a professional every few years to make sure it’s still running efficiently. Install a programmable thermostat to turn on right before you come home, and set it a bit higher than normal for when you’re home. A few degrees make a big difference, in terms of energy, but your body won’t notice the difference. Finally, a shaded air conditioner uses up to 10 percent less energy to operate, so don’t place your central a/c in direct sunlight. Going into a cool room on a hot day is among the most enjoyable feelings you can experience. Follow these helpful suggestions and make this summer your best yet. This article is presented courtesy of Bonneville & Son, Inc in Manchester, New Hampshire. In this month’s “You Should Know” newsletter presented by the NH dog bite attorneys at the Law Office of Manning & Zimmerman, we discuss the fact that, according to the American Veterinary Medical Association, more than 4 million people in the U.S. are the victims of dog bites each year, most often children and the elderly. Some of these attacks result in emergency-room injuries, reconstructive surgery, and – for 39 people in 2013 – death. In New Hampshire, the law governing “canine inflicted injuries” covers any cause of damage by a dog and applies to injuries, not only to humans, but also to any form of property, including another dog or other pet. While no one disputes the companionship and loyalty dogs provide to millions of Americans, safety advocates and dog experts say that more can be done to prevent dog bites. You should know how you or your children can avoid dog bites, your responsibilities as a dog owner, and your rights if you or someone close to you has suffered a dog bite injury. Our civil justice system provides for victims of negligence to recover full, fair and adequate compensation for their injuries. The NH dog bite attorneys at the Law Office of Manning & Zimmerman handle cases in all areas of personal injury law, and we work diligently to ensure that our clients receive compensation for their injuries. Please call our office at (603) 624-7200 or complete the form on this page to schedule a free initial consultation. Evening and weekend appointments are available. A personal injury lawyer in Manchester NH will explain why a deposition is necessary and can be useful. Accumulation of Facts. The deposition is similar to written discovery. The attorney will be able to determine who should be questioned in a deposition. The answers will help to find out what a witness knows. Locked-In Testimony. Deposition testimony is akin to a preview of what the witness will say at trial. In addition, the witness will be locked in to the testimony. If this is altered at trial, the deposition can be used to show that. Garnering Admissions. If a witness gives testimony about facts, these can be utilized as admissions. With depositions, an admission is also defined as a fact that might be obtained when it calls the witness’s testimony into question and supports what the plaintiff says. Document Authentication. It is important for documents that can help the case to be introduced and brought into the record as evidence. One way is for the documents to be authenticated and declared genuine. Supporting Motions. During a deposition, the testimony can support motions. Testimony is commonly viewed as a better device for persuasion than other methods of motions such as an affidavit. This is because it is possible to cross-examine the witness when this is not possible with an affidavit. If you have questions about the importance of a deposition and why it is useful, call (603) 624-7200 to speak to a personal injury lawyer in Manchester NH from the Law Office of Manning & Zimmerman PLLC. The trucking industry is again pushing Congress to allow bigger and heavier trucks with overworked drivers behind the wheel. Lawmakers have attached a long industry wish list to an appropriations bill that will be voted on by the House in the coming weeks. 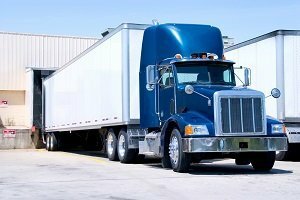 It includes provisions that would allow trucks to carry longer trailers across the country, make it harder for the Department of Transportation to require drivers get more rest before they hit the road and forbid the department from raising the minimum insurance it requires trucks and buses to carry. The insurance levels have been in effect since 1985. Trucking companies seem to have been emboldened by their success last year in getting Congress to temporarily suspend parts of a Transportation Department regulation meant to give truck drivers at least 34 hours of rest. That rule was meant to ensure that truck drivers got at least two consecutive nights of rest after working 60 hours in seven consecutive days or 70 hours in eight days. The industry had complained — wrongly in our view — that the rule, which went into effect in July 2013, “exacerbates congestion” and could make highways less safe by forcing more truck drivers onto the roads during morning rush hours. The language in the House appropriations bill will forbid the Obama administration from fully reinstating that rule unless a study shows that the rule resulted in a “statistically significant” improvement in safety, work schedules and driver fatigue, health and longevity. That is an impossibly high bar to meet and, if enacted, the measure will surely result in more tired and sleepy drivers on the road. Another provision would allow trucks to pull two 33-foot-long trailers, up from the current federal minimum of two 28-foot-long trailers. (States can chose to allow longer trailers but most do not.) Truckers say this will improve safety, because it will result in fewer trucks on the road. But that is not believable because part of the industry’s motivation is to take business away from railroads. If they are successful in that effort, the number of trucks on American highways could just as easily go up. In fact, there is good reason to worry that longer trucks will be less safe simply because trucks with multiple trailers are more unstable and take longer to stop than other vehicles. Public interest groups such as Advocates for Highway and Auto Safety; theTeamsters, which represents truck drivers; and the Obama administration have objected to the trucking provisions in the House bill. And with good reason. In 2013, the latest year for which data is available, 3,964 people died in accidents involving large trucks, most of whom were riding in another vehicle or were pedestrians. That is up 17 percent from 2009. Over the same period, traffic fatalities overall have fallen 3 percent, to 32,719. It is hard to know for sure why the number of fatal accidents increased. It could be that there were more trucks on the road in 2013 than during the recession. But this data should give lawmakers serious pause before they make major changes to trucking regulations in an appropriations bill. 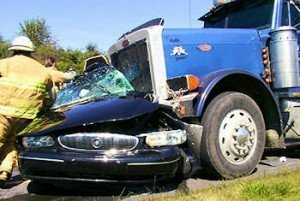 If you have been injured by a big rig and have questions about your rights, please call the NH truck accident attorneys at the Law Office of Manning & Zimmerman, PLLC at (603) 624-7200.